Na Bong-Sun (Park Bo-Young) works as a sous chef. 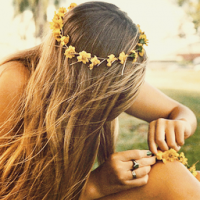 Because of her timid personality and low self-esteem, she doesn't have any friends. Since she was a child, she has been able to ghosts because of her shaman grandmother. One day, she becomes possessed by seductress ghost Shin Soon-Ae. Zoom version : "Turn off the light, Chef!" 3rd kiss: The most melting kiss! Don't quote images.Due to the copyright/legal problems, no illegal streaming links will/should be posted on this thread as there had been major crackdowns going on lately.Any complaints about any streaming links will be counted as spam and will be reported to the mods.Any complaints of the respective companies such as Viki, youtube, Etc.. should be report to the respective companies instead of posting your complaints here.Those who are caught breaking the soompi posting rules more than 5 times will have their Id/IDs reported the mods. Those who are caught promoting/posting illegal streaming links with subs ( those without permission from the orginal subbers and doesn't have copyrights like Viki,Dramafever or Crunchyroll) will have their Id reported to the mods for endangering Soompi to legal issues for illegal streaming sites promotions. Park’s agency, Fides Spatium, confirmed on April 14th that she has indeed received an offer from the production team of ‘Oh My Ghost.’ But discussions are still being carried out, as Park Bo Young is currently filming the movie ‘You Call that Passion,’ and schedules will have to be coordinated. If Park Bo Young does sign on for the drama, she will take on the role of a lustful young female ghost, who falls in love with a snobby chef that doesn’t believe in such things as ghosts. Park Bo Young last starred in the 2008 drama ‘Star’s Lover’ in a cameo role, and has been away from the small screen for seven years as she focused her attention on movies. Meanwhile, ‘Oh My Ghost’ is scheduled to greet viewers sometime in July. No new drama threads are permissible unless there is at least 1 confirmed casting. [by Sora Ghim] Actress Park Bo Young and Jo Jung Suk will test their chemistry through a new tvN drama. ‘Oh My Ghost (literal translation)’ will be the follow-up work to ‘Ex-Girlfriend Club’ and is about a shy kitchen assistant Na Bong Sun, who gets possessed by a lustful virgin ghost and snobby star chef Kang Sun Woo. The work will be directed by Yoo Jae Won and is written by Yang Hee Seung, reuniting the two since their last work together, ‘King of High School Life Conduct’. The two worked on this project for a year before finally moving onto production. This sweet romance will include the supernatural for a new type of fun. This drama will be Park Bo Young’s return to the small screen in 7 years. She will play the part of Na Bong Sun who is possessed by the ghost. Due to her extremely timid personality, Na Bong Sun has no close friends and does nothing right at her job in the restaurant. Also, thanks to her shaman grandmother, she occasionally sees ghost and is coincidentally possessed by virgin ghost ‘Shin Soon Ae.’ Through this incident, Na Bong Sun gets rid of her shy character and shows dynamic charms for this wild romance. 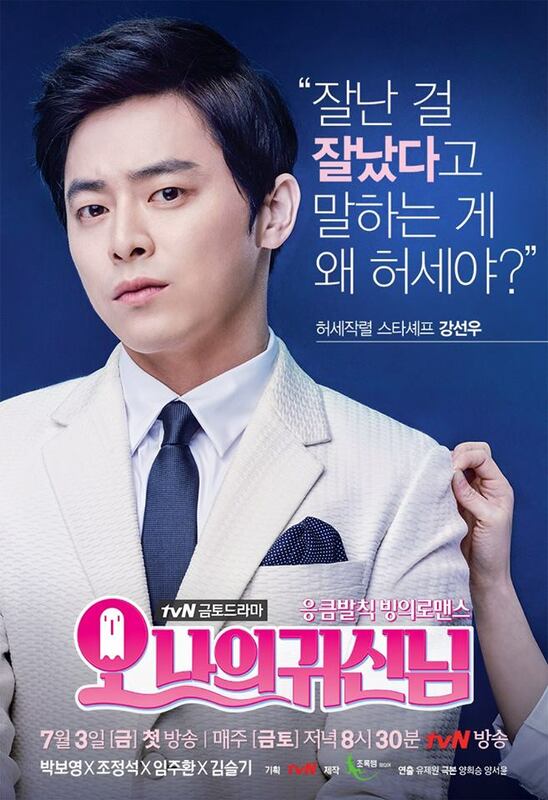 Jo Jung Suk will play star chef Kang Sun Woo, who Na Bong Sun has a secret crush on. His good looks and cooking skills led him to become a star and is a man who is full of pride on his food. He has a lot of women around him but actually keeps his old love in his heart. However, one day, the completely changed Na Bong Sun keeps on catching his eye. Previously, it was reported that Park Bo Young was in talks to star in the Friday-Saturday cable drama. It was reported on May 6 that she has been confirmed to appear in “Oh My Ghost.” It will be her first leading role in a drama. “Oh My Ghost” will be an “occult romance” piece about a clumsy and shy kitchen assistant Na Bong Sun, played by Park Bo Young, who is haunted by a lustful virgin ghost. Jo Jung Suk will play an arrogant star chef named Kang Sun Woo, who Na Bong Sun works for. The drama is being produced by the team behind “High School King of Savvy.” It will premiere in July on tvN. @StaRix finally she confirmed Welcome back to dramaland, Park Bo Young! finally she confirmed. Aigooo Bo Young with Jo Jong Suk !!! Hoorayy...after watching ex girlfriend club...i really for sure watching this!!!! @maknaec, Thanks for starting this thread..
​@moon_fars, Master sun also came to my mind after I had read the decription of the story..
Tbh I prefer younger male lead than Jo Jung Suk. They should've casted younger actor. Both are fabulous and versatile actors, looking forward to this pairing! Though the synopsis is similar to TMS & a little to Spellbound, I'm still very intrigued and would most definitely check this drama out! Can't wait for PBY and JJS, I have a feeling that both of them can show us good chemistry. ​@MaknaeC There's no problem on their acting. Both of them are just amazing! It's now just depend on the writer. But for now, I find the storyline very interesting and cute~ I'm a bit fan of an arrogant male lead. Sometimes being possessed by a ghost is a good thing. That's how it works out for the timid character played by Park Bo Young in the upcoming drama "Oh My Ghost." Her character Na Bong Sun is so shy that she has trouble making friends or getting anyone to notice her. Her shyness, lack of self-confidence and frequent mistakes working as a sous chef may have something to do with the fact that she sees ghosts. It's a hard thing to explain and the less people notice her the better. Na Bong Sun has accepted the limits of her introverted haunted life. But then thanks to her shaman grandmother, a seductive female spirit tales possession of Na and completely transforms her personality. The transformation leads to her getting noticed by the star chef Kang Sun Woo played by Jo Jung Suk. Na Bong Sun has had a crush on the handsome confident chef for years but he never really thought of her as a woman before. He has many female admirers but his heart belongs to his lost first love. Is that the spirit possessing Park Bo Young's character? Whether or not it is, he is suddenly paying attention to her. And that can make things complicated when you are working together in a kitchen. What could complicate things further is the fact that Kang Sun Woo does not believe in ghosts. Park Bo Young has appeared in a few dramas but can be seen in twice as many films. Her last drama was "Star's Lover" in 2008. Her recent films include "A Werewolf Boy" and "Hot Young Bloods." This year she can be seen in three films, including "The Silenced," another ghost story about the mysterious disappearance of girls in a boarding school, and "Mutant," about a woman having feelings for a mutant. Jo Jung Suk's film debut was the 2012 film "Architecture 101," but he has since appeared in a few films, including "My Love, My Bride." This year he can be seen in "Time Renegade" and "Journalist." His last drama role was playing Shin Joon Ho in "You're The Best Lee Soon Shin." The drama's director Yoo Je Won and writer Yang Hee Sung previously worked together on "King of High School Savvy," which starred Lee Ha Na, Seo In Guk and Lee Soo Hyuk. "Oh My Ghost" is scheduled for July after the end of "Ex-Girlfriends Club."